Passionate readers meeting to discuss enduring ideas—that was the vision shared in the 1940s by two University of Chicago educators, Robert Maynard Hutchins and Mortimer Adler. By that time, Hutchins and Adler each had a long history of seeking to reform higher education, which was becoming increasingly specialized. Both men believed that the best way to gain a liberal education, in or out of the university, was to discuss the writings of the world’s great thinkers. 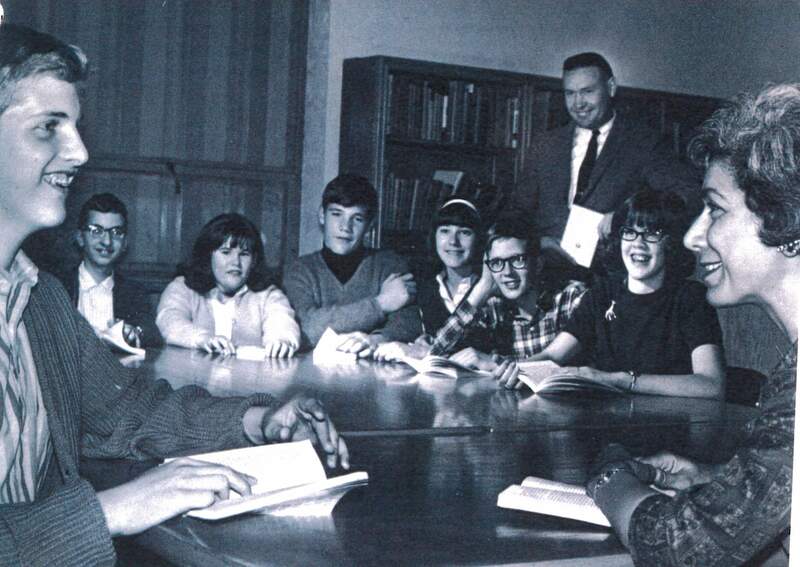 In 1930, Adler began leading a Great Books discussion group for adults in Highland Park, a suburb of Chicago. He took the idea downtown in 1943, recruiting prominent Chicago businessmen and their wives to participate in text-based seminars that would later be formalized as Shared Inquiry™. The group, which came to be known as The Fat Men’s Great Books Group, attracted many influential public figures eager to discuss the classics with Adler and Hutchins. This success led to a Great Books continuing education program at the University of Chicago, which later became the Basic Program, and to a Chicago Public Library workshop where 70 librarians and volunteers were trained as discussion leaders to start their own groups. Similar workshops were held in Cleveland, Indianapolis, Milwaukee, Detroit, New York, and Seattle, and the University of Chicago was deluged with inquiries from individuals, clubs, and labor unions. In 1947, Hutchins and Adler established the nonprofit Great Books Foundation to promote lifelong education through the reading and discussion of outstanding literature. Their aim was to encourage all Americans to participate in a “Great Conversation” with the authors of significant works in the Western tradition. To make texts accessible, the Foundation published inexpensive paperback editions of its recommended readings, many of which were out of print or available only in costly editions. 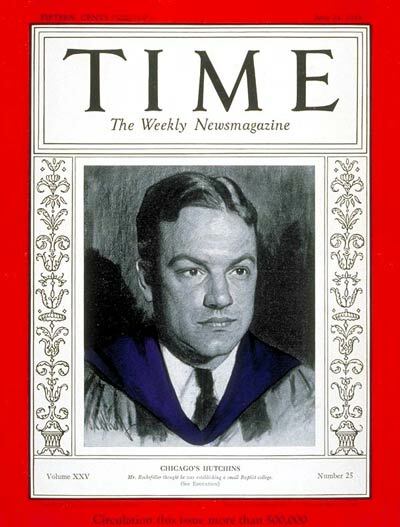 Hutchins was chairman of a distinguished board of directors that included, among others, Mortimer Adler; Garret L. Bergen, vice president of Marshall Field; the Reverend John J. Cavanaugh, president of the University of Notre Dame; Norman Cousins, editor of The Saturday Review of Literature; author and critic Clifton Fadiman; author Clare Boothe Luce; and E. H. Powell, president of Encyclopaedia Britannica. The Foundation’s stated objective was to provide the means of a genuine liberal education for all adults. 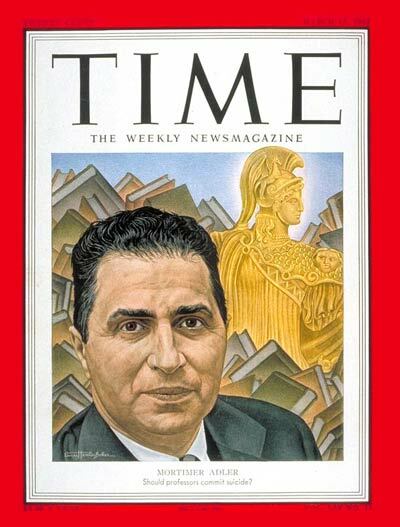 An early annual report reflected the belief, or hope, that thousands or even millions of people would join together for small group discussions that foster the “noble work of self-improvement.” By December 1949, an estimated 50,000 people in thousands of book discussion groups were meeting regularly in public libraries, homes, churches, and synagogues. Extending the Great Books program to younger readers was a natural outgrowth of the organization’s mission, and within a few years, Great Books programs began in high schools and even elementary schools. Following successful pilots in Detroit and elsewhere, the Foundation launched the Junior Great Books program in 1962, offering five boxed sets of paperback books for grades 5–9. Slow to start, the program got a tremendous boost when the Junior League of Chicago became a sponsor and placed hundreds of volunteers in schools to lead discussion groups. Within two years, an estimated 48,000 children were enrolled in 3,200 groups in public and private schools across the country. Initially, most of the selections in the Junior program were works from the adult program, such as excerpts from The Pilgrim’s Progress and Adventures of Huckleberry Finn. With each new edition, the program’s range of literature was broadened to include more folktales, children’s classics, and respected contemporary works. The program was also expanded to include younger readers. The 1975 and 1984 editions of Junior Great Books added literature for grades 2–4, and in 1991, Junior Great Books Read-Aloud brought the program’s outstanding literature to students in kindergarten and first grade. 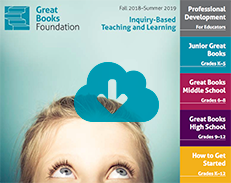 From the beginning, Junior Great Books demonstrated that all children can benefit from the close reading and questioning strategies of Shared Inquiry. But throughout the 1980s, most programs in schools served students who were already proficient readers. In response, in 1992, the Foundation introduced a major expansion of the program that integrated reading, writing, and discussion. The new Junior Great Books curriculum made it easier for schools to incorporate Great Books into the mainstream reading and language arts curriculum. Today, more than one million students participate in Great Books programs in thousands of schools, and recent editions of the program reach an ever-expanding circle of students and teachers. At the same time, the Foundation continues to support hundreds of adult groups across America. The Foundation hosts Great Books Chicago, three days of discussion and programming, in the spring. Multiple regional Great Books councils offer their own discussion programs, and thousands of readers enjoy our increasingly diverse publications. The Foundation’s anthologies have for many years embraced literature beyond the Western tradition, including many more woman authors and a wide range of international writings. After more than 70 years, the Foundation continues to publish materials and create programs that build community, strengthen civic engagement, and reach new and underserved audiences. Looking to the future, we seek new ways to involve people of all ages in meaningful discussion of important ideas. To learn about our recent publications and initiatives, see our book group materials and partnerships.